Do you dread people asking you “so what is it that you do”? If this sounds like you, then I completely understand. A lack of clarity and focus on our messaging can leave us fumbling over words or worse still confusing the person we are talking to altogether. This is a big problem because no one can buy from you if they don’t know what you’re selling. Confusion is the main cause of procrastination for many business owners. I understand because I too have spent so much time driving myself crazy, comparing myself to others, wondering if what I was focusing on was what I ‘should be doing’. So to get unstuck, I decided to gain the clarity and focus I needed to help move me forward and actually build the business of my dreams with a message that felt right. This started with laying solid business foundations, and ignoring the shiny, advanced marketing strategies which were only causing me more overwhelm. You see, I realised very quickly that those marketing strategies and tactics wouldn’t work if I didn’t have the foundations in place first. I could spend hours blogging, on social media and setting up fancy sales funnels but if no one could resonate with my message then all my hard work would be ineffective. A good starting point was to get really clear on who I wanted to help and what I wanted to help them with and decide on the message I wanted to share. It all starts with you – why are you doing what you’re doing? Being clear on why you started your business will help to keep you motivated and focused when distractions occur. Your why may be that you want to have the freedom and flexibility to spend more time with your kids and family or you may be tired of working on someone else’s watch and would like to spend your time as you please. It may be that you want to reach new income levels so that you can travel the world or buy the house of your dreams. Or it could be that you want to impact others’ lives on a deep level and you want to share your message with the world. It doesn’t matter what it is – it’s your reason/s for starting so being clear will remind you why you’re doing this during the tough days. An example from my business: I want the freedom to spend time with my family on my terms and without having to ask permission. 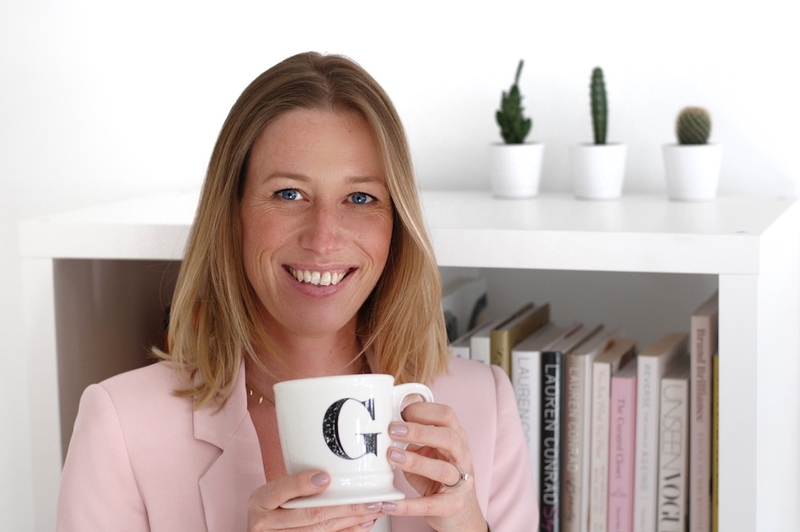 I want the freedom to design my business in a way that suits my lifestyle and that allows me to push myself to see what I am capable of (personal WHY). I want to help other women design a business they love that gives them the freedom they want without the feeling of overwhelm and having to hustle 24/7(big picture WHY). What is your unique approach to how you help people? Let’s imagine you are having a drink (or 2) with a friend and you start talking about your industry. What do you feel strongly about? What do you love about it? What gets your back up? What values do you stand for? This is your point of view and will help you stand out from the crowd in your niche. This is what makes you do what you do your unique way. Now this doesn’t have to be political or controversial, it is simply a way of putting more of YOU into your business and will help your audience to resonate with you. An example from my business: I believe that you don’t have to sacrifice time with your family and hustle 24/7 to make your business a success, however, I do believe that you need a clear, simple strategic plan that allows you to focus on the things that will move your business forward. A niche is a distinct segment of the market that you want to work with. What specific problem do you want to solve? This can seem scary for many as it can feel like you are being too specific and therefore limiting the number of people that you can actually help, but it honestly makes such a big difference when it comes to your marketing and helping your ideal client know that YOU can help them because they have this specific problem that YOU solve. So think about the MAIN PROBLEM you solve. There may be sub-problems to this main problem which you can also help solve, but really get clear on that one thing. This will help you to create amazing packages and programs that offer that solution. Now you know the problem you solve, you can think about all the different people who have this problem, and who you specifically want to help with your message. Think about past clients or people that you feel you would enjoy working with the most. So for example, a wedding planner helps a bride and groom design and implement their dream wedding (wedding planning = niche) and the type of wedding that this wedding planner specialises in is elegant, high-end weddings (ideal clients will have a big budget and elegant taste). Being this specific will then help the Wedding Planner know exactly WHO they are wanting to work with and tailor their message and marketing to speak to that bride and groom. You can then go on to create an ideal client overview that looks at them in more detail, for example their dreams and aspirations, fears, values, personality type, what books / blogs they read, what podcasts they listen to etc. An example from my business: I choose to work with women who are smart and determined to make their service-based business a success. They started their business because they want the freedom to spend time with their families, freedom to run their business how they really want with clients they adore, freedom to spend time doing the things they love, all whilst making an impact on others’ lives and earning a good income. They feel overwhelmed and aren’t really sure what to focus on and so are working hard doing ‘all the things’ hoping something will work. What solution do you offer to their problem? What is the transformation they can expect from working with you? What is the outcome? If they are at point A (problem) how will you move them to point B (solution). Be as specific as possible. All of the pieces we have worked through so far come together to make up your message. Your messaging is key for your audience and prospective clients to know what it is you do and why it matters to them. 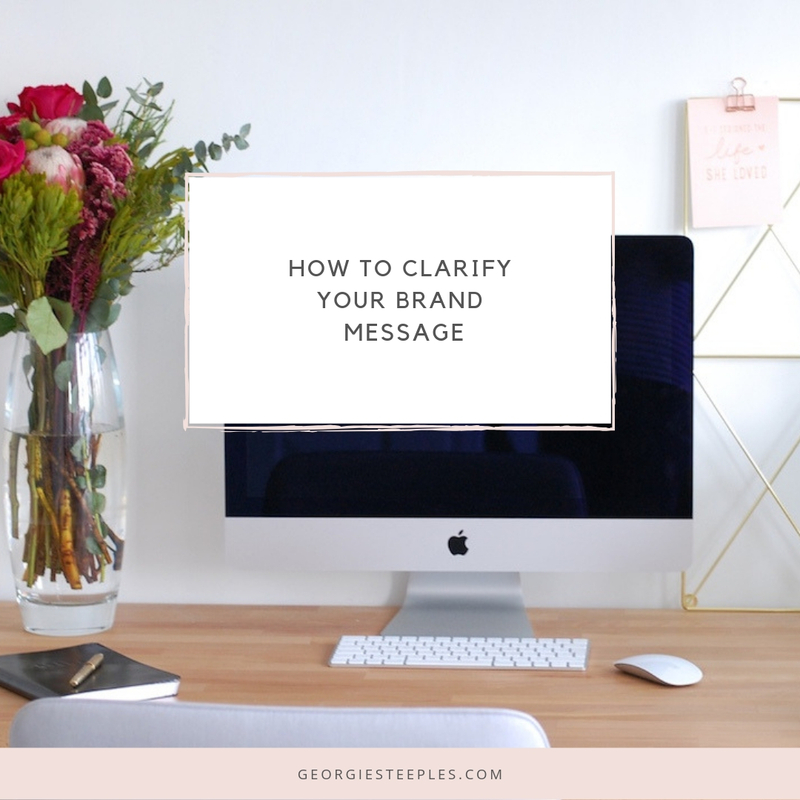 Having absolute clarity on your message will make everything so much easier in your business. You will feel confident telling people what it is you do, writing posts for social media will be easier, you will know what topics support your message and what to include in your content, and your website copy will be better – sounds good right? To make your message speak directly to your ideal client, you want to use their language, not industry jargon. Ask your ideal clients what their biggest struggles are with _________ (the problem you solve). You can do this by speaking with them on the phone and taking notes of the language they use, or create a survey. This research will help you in so many ways and people will be happy to help. Only ask questions and listen on these calls, absolutely no pitching or selling. You can now pull it all together into a simple sentence or two. An example from my business: I am a business strategist and coach who helps empower service-based female entrepreneurs replace overwhelm and hustle with the clarity, confidence and strategies they need to build a business and life they love from the inside out. Write it down but also practice saying it in a conversational way that doesn’t feel too rehearsed and inauthentic. Try to keep your messaging consistent across all your social media accounts so as not to confuse people. Also don’t spend too long worrying about getting the wording absolutely perfect. Done is better than perfect and spending too long on this will stop you from moving forward in other areas of your business e.g. blog posts, networking, creating new products / packages etc. If you feel slightly unsure and lack clarity on any of the above then I really urge you to spend some time working on this and do what feels right for YOU! It’s ok for you to pivot on these things as your business evolves, so know that they aren’t set in stone forever.